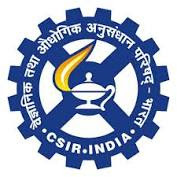 CSMCRI Recruitment 2018 For Senior Research Fellow post – It is a good opportunity for all the interested candidates who are looking for government jobs in CSMCRI. 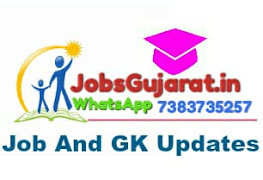 For more information related to Educational Qualification, Age Criteria, Selection Mode, Important Date and other Eligibility process please read the below article carefully. Also must read the official advertisement in detail before applying…. Educational Qualification: M.Sc. in Chemistry with NET + 2 years Research experience. Age Limit: As on the date of interview. The upper age limit for Senior Research Fellow is 32 yrs. Age relaxation is applicable as per DST and CSIR rules. Job Description: selected candidate will work on the DST sponsored project “J.C. Bose Fellowship”. Duration: the position is purely temporary for the duration of project (5 years). It would, therefore, not confer any right/claim implicit or explicit for any candidate for claiming extension or absorption in CSMCRI/CSIR. Initial appointment is for one year and then it will be renewed annually subject to satisfactory performance. How to Apply: Interested candidates are requested to appear before the selection committee for an interview at CSIR- Central Salt and Marine Chemical Research Institute, G. B. Marg, Bhavnagar 364002, Gujarat on 24th April 2018 at 10 AM. You are requested to bring with you an application giving full particulars such as (1) Full name and postal address with e-mail and phone No. (2) Date of Birth and (3) Educational Qualification and experience (if any) together with the photocopies of certificates/testimonials. Original Experience certificate(s), Testimonials etc.